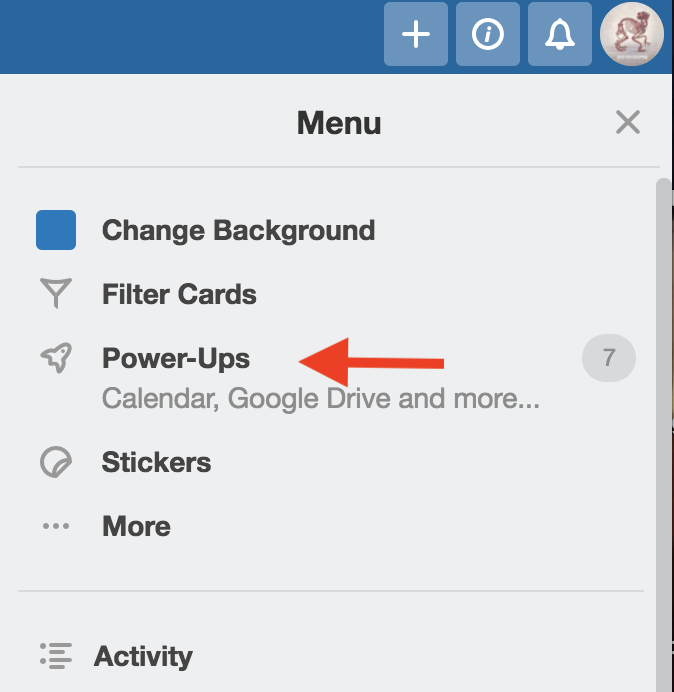 Power-Ups turn Trello boards into living applications through additional features and integrations. 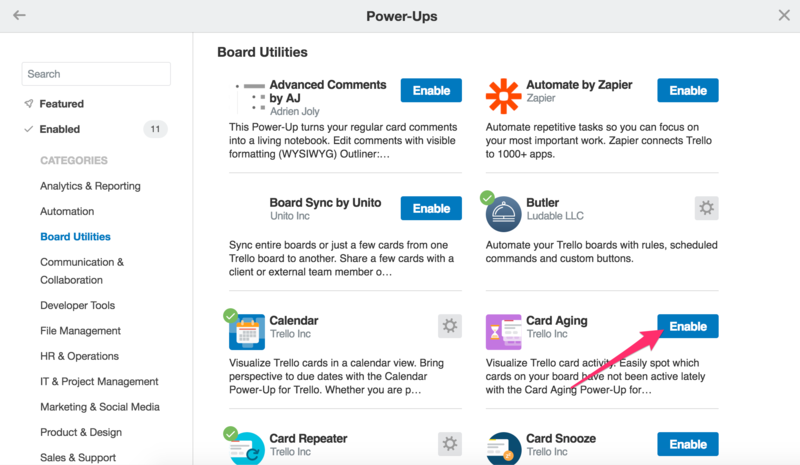 Boards belonging to free users can turn on one Power-Up at a time, boards belonging to Trello Gold members may have three Power-Ups turned on at a time, and Business Class boards can have unlimited Power-Ups. Go here to check out all our available Power-Ups. Enable Power-Ups by selecting “Power-Ups” from the board menu. The will open the Power-Ups directory and you can enable a Power-Up by clicking on 'Enable' to activate the Power-Ups you would like to use. You can also list all Power-Ups currently enabled on the board by clicking on "Enabled" in the top left corner. To disable a Power-Up that is currently enabled, click the gear icon and the select "Disable". The Trello App for Slack is enabled on a per-team basis—for more information, read our article on the Trello App for Slack.